Google may struggle with social networking, but it does better with machine networking, in the form of APIs. APIs, or application programming interfaces, allow programs to talk to one another. In an era when nearly everything is potentially programmable, APIs have become more important than ever, particularly to businesses that need to connect a diverse portfolio of services. Google Apps has had APIs for years, but much of the recent attention lavished on the suite has occurred at a business level. Google has shown more interest in increasing its enterprise credibility than its technical capability. But after strengthening its Google Apps for Work partner program and bringing Diane Greene on board to run the company's enterprise business, Google wants to make the technical foundation of its cloud productivity suite more useful to enterprise partners. "There have been APIs for Docs to give you programmatic access since 2006, but we really weren't focused on building an enterprise-grade ecosystem," said Ritcha Ranjan, group product manager for Google Docs in an interview last week. "And we really weren't focused on getting leading partners in the enterprise space to help us with this." Last year, Google introduced the Classroom API to help developers integrate education apps with Google Classroom, a tool to make Google Apps for Education more useful to teachers. This year, as Google plans to announce at Google I/O 2016, the company is updating Sheets and Slides, to help developers make data in Google Apps for Work more readily accessible to third-party apps. 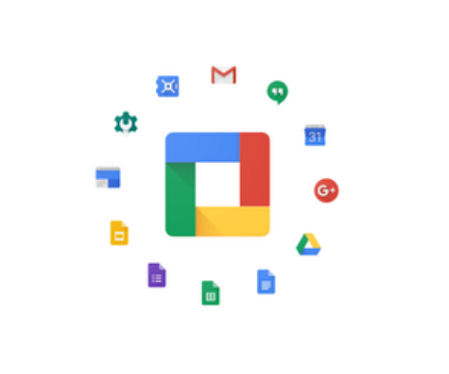 Ranjan said after talking with partners and looking at how people use Google Apps, Google realized there was an opportunity to improve workflows that exist between Google Apps and other applications. Often these workflows involve copying and pasting data between apps. "What we want to do is take what takes minutes in a workflow today and simplify that down into a couple of clicks," said Ranjan. At Google I/O on Wednesday, Ranjan said, Google plans to announce enhancements to the APIs for Sheets and Slides that allow the products to communicate more easily with third-party services. The new Sheets API makes almost all the features in Sheets programmatically accessible. With the API, developers will be able to write code to replace copy-and-paste data transport from Google Apps to a CRM or ERP app. "Salesforce is using our API to do real-time updates," said Ranjan. "The thing we think is a real differentiator here is that the data, when updated in Google Sheets, will be automatically pushed back in real-time to Salesforce." Other companies working to integrate the Sheets API include Anaplan, Asana, Sage, and SAP. Similarly, the new Slides API will allow developers to alter Slides programmatically, enabling one-button updates to data and charts in Slides. Developers can sign up for early access, with general availability planned in a few months. Google says Conga, ProsperWorks, SalesforceIQ, and Trello are among the companies working to integrate the Slides API into their products. On a related note, Google intends to allow live data from Sheets to be embedded in Docs or Slides files. Using this capability, associated documents in other applications can be updated to match the data in Sheets with a single click. Also, the Classroom API is getting new endpoints so that developers can integrate assignments, grades, and workflow into their apps. With the ability to sync Classroom grades to reporting systems, teachers should no longer need to transfer grades manually. Jonathan Rochelle, director of product for Google Apps for Education, said that the next journey for Google Apps is machine intelligence, pointing to the Explore feature in Sheets as an example of the kinds of innovations to expect. That means adding to your team, he said, "not just people but the machine. Not just relying on it to do mundane task replacement, but to be smart and add intelligence to the process."